The Way We Were: Bill and Sue Rust - The Resident Community News Group, Inc. | The Resident Community News Group, Inc.
Music and medicine were early influences in the lives of Bill and Sue Rust. Growing up in different times and places, Bill in Brooklyn, New York, and Sue in West Carrollton, Ohio, both performed in their high school concert bands and both entered the medical field as adults. Bill, who was a concertmaster in high school and college, was torn between becoming a professional violinist or a doctor. The conflict was settled by his music teacher who told him he was competent as an orchestral musician, but not strong enough to be a soloist. He graduated in 1957 from medical school in Albany, and began his internship at Methodist Hospital in Brooklyn, New York. Still in his early 20s, Bill married a nurse (Marian), fathered a child (daughter Janet) and made a grand total of $50 a month as an intern. The United States Navy needed doctors and the young M.D. 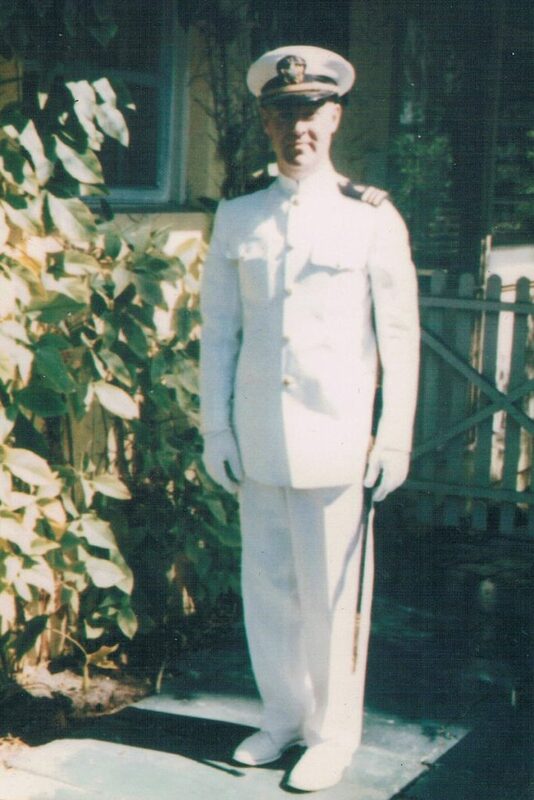 joined up, finishing his residency at St. Albans Naval Hospital in Queens before shipping out as a Lt. Commander aboard a Navy transport ship headed for the North Atlantic. During his Navy years, Bill’s family grew by two more children, Kathryn and William. Landing at NAS Jacksonville, Dr. Bill Rust worked with Navy dependents on base for a while, choosing obstetrics and gynecology as his specialty and, after retiring from the Navy, opened a practice on Hendricks Avenue. He chose OB-GYN as his specialty because, he says, it is a “happy service” … or was … “until everybody, including the mother-in-law and family dog, began crowding into the delivery room!” Bill and a partner eventually began to specialize in laparoscopic surgery. In the meantime, back in Ohio, a young pre-teen girl named Sue Ingram babysat for a nurse who worked at the Christ Hospital School of Nursing in Cincinnati. “I liked her cap and I already knew I was going to be a nurse,” Sue said, vividly recalling the day she had her tonsils removed at 5 years of age, and, wide awake, perched on the edge of the operating table, watching two nurses efficiently prepare for the surgery. By the time the anesthesiologist knocked her out for the surgery, Sue had already decided she would be a nurse. She graduated from nursing school in Cincinnati in 1967, got married and moved to Munsey, Indiana, where she began her career earning $3.70 an hour at Ball Memorial Hospital, but quickly moved up the ranks to Assistant Head Nurse on the Surgical Floor. In 1970, after earning her bachelor’s degree, she became Head Nurse and then was promoted to Division Director. By 1982, Sue had earned her master’s degree at Case Western University, become a single woman again, and was being recruited by hospitals in other cities, including Kansas City, Kansas and Jacksonville, Florida. Sue was Director of Nurses at Baptist Medical Center and Bill was Chief of Staff when they met in 1983. Both of them, by that time, were divorcees and well-meaning friends at the hospital were determined to be matchmakers for this dynamic medical duo. Their first date was to the Jacksonville Symphony, which Bill, being a music-lover and former concert violinist, had supported for years. Having played the clarinet and bassoon in her high school concert band, Sue appreciated the good doctor’s choice for a first date. Their next date, however, was cringeworthy … Bill took her to his ex-wife’s home, and they spent the evening playing Charades with Marian and Bill’s adult children. “I hated the Charades, but I liked Marian and his family, even though they ganged up on me,” recalled Sue, smiling. 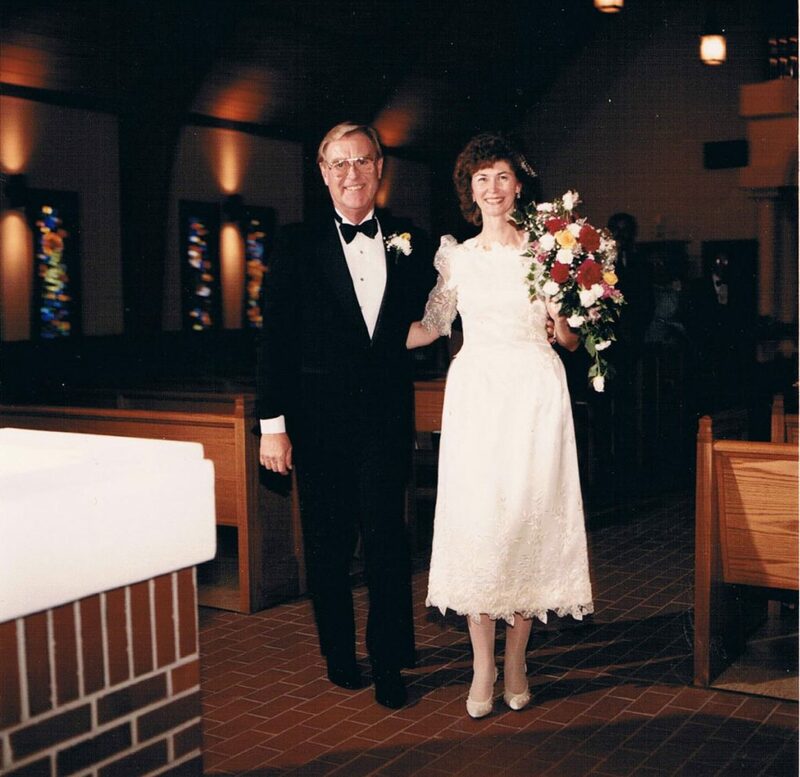 On June 10, 1989, Bill and Sue were married at St. Mark’s Lutheran Church on Hendricks Avenue. They went to Tahiti on their honeymoon and there they fell in love with the French language. They came back and enrolled in French lessons with Dr. Gustavo Godoy, a retired Jacksonville University Spanish and French professor. They traveled to France five times in the next few years, preferring the countryside to Paris and enjoying the food, the art and especially the people. Calling the Sisters of Mercy in Wisconsin, he learned of a need for medical help in India and he traveled to Toyaput, Rayagada, 70 miles inland from Calcutta. On his first day, he was walking toward his quarters and heard a low, menacing growl in the underbrush along the asphalt road. “I knew it was a big cat,” he recalled. “I ran like hell without looking back.” That night, he was awakened by rats running across his bed. 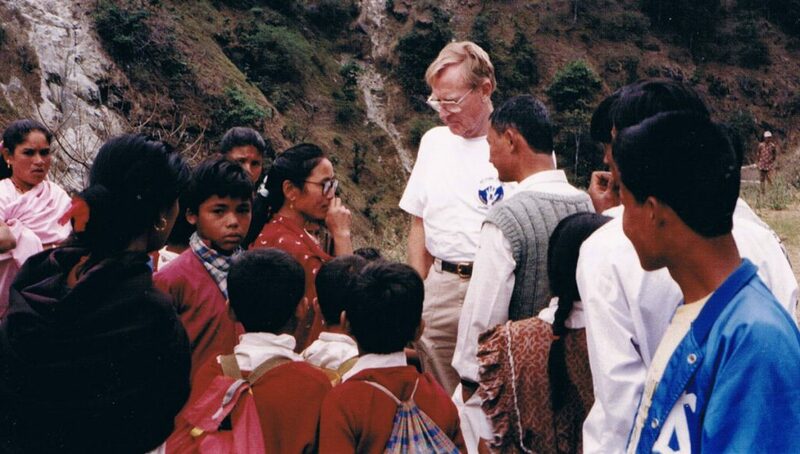 Despite various “inconveniences,” and an overload of patients, many of whom suffered from malaria, Bill remained in India for three months. Sue retired the following year and joined Bill when he traveled to Nepal. 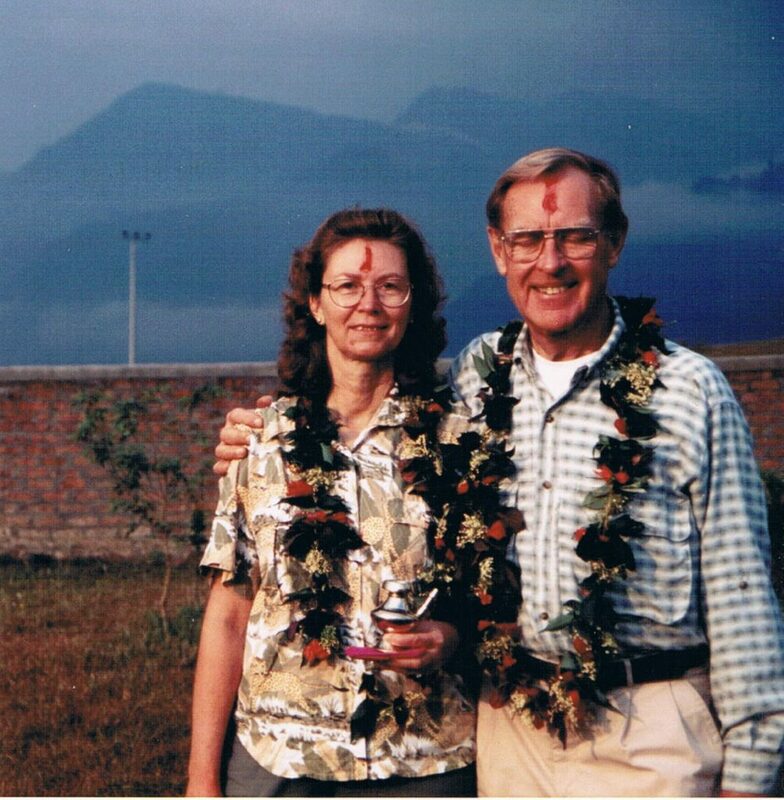 In Nepal, Bill and Sue became personally involved with each patient, treating them with what they had on hand – knowledge and compassion. “They had nothing, and they would give you anything,” said Bill of the Nepalese people. They attended a Dimwa Festival while there, and, at a health camp, once treated 63 patients in four hours. 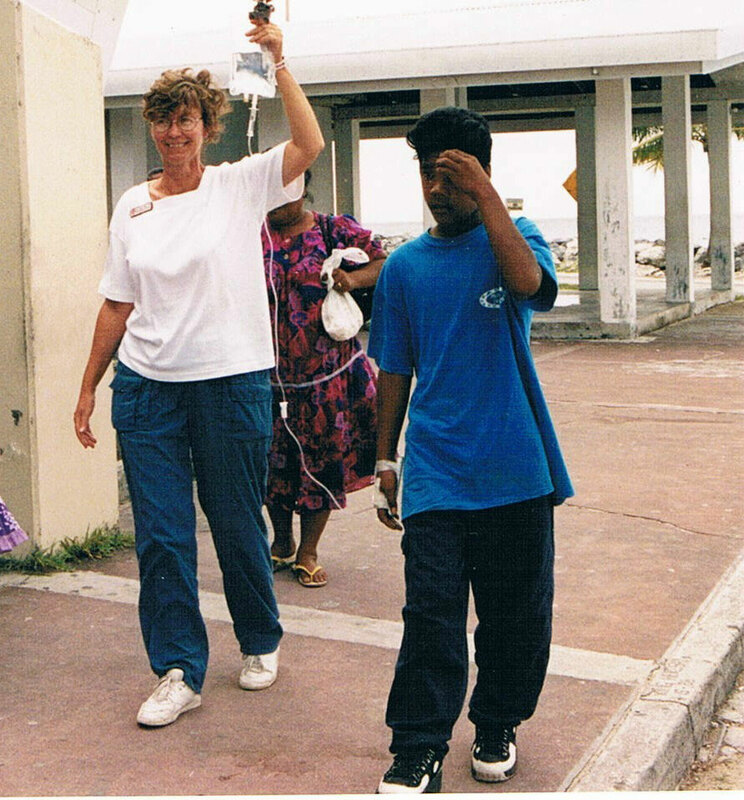 In 1999, the Rusts went to the Marshall Islands, through a group called Mercy International. They witnessed, firsthand, the devastation of Enewetak, where U.S. Missile Testing had destroyed the islanders’ simple way of life. Instead of fishing and picking native fruit, the islanders were now subsidized with American foods of their choosing, consisting mainly of sugary soft-drinks and candy. Thus, the majority of the now aimless natives had rotting teeth and other medical maladies such as malnutrition. Leprosy had reappeared among the population. The Rusts were so taken with sadness about the situation of the natives that they returned in 2000 to help the Marshall Islanders again. Next, Sue read in Reader’s Digest about a Burmese refugee camp in Thailand run by Dr. Cynthia Maung. Contacting Dr. Maung, they traveled to the camp and found patients suffering from horrible injuries – legs blown off by landmines, etc. There, Bill treated an illegal refugee from Myanmar who was suffering from uterine cancer. She needed a blood transfusion and Bill, having the same blood type, gave her 500 cc’s of his own blood so that she would survive. In Bucharest, Romania, through Project Concern International of California, Bill and Sue spent three months in 2001 at an APACA (clothing factory) treating 1,133 patients – 900 of them women. They had gone without medical care for more than a decade and, finally, a factory clinic had been opened by the owner who wanted to keep his “girls” healthy so they could work. To their astonishment, the Rusts discovered that nearly every woman working in the factory had had an abortion – most of them multiple abortions. It was their birth control. SARS (Severe Acute Respiratory Syndrome) was a virus first identified in 2003 and the Rusts, through Cross Cultural Solutions of New Rochelle, New York, were already in Xian, China when 13 cases were discovered there. In a population of 6.6 million, it was hardly an epidemic, but students at the Medical Military University were quarantined. Teaching English to an eager group of highly educated Chinese students was a new pursuit for the couple. Although the students knew basic English, they were taught colloquialisms and pronunciation, using the New York Times and Medical Journals. 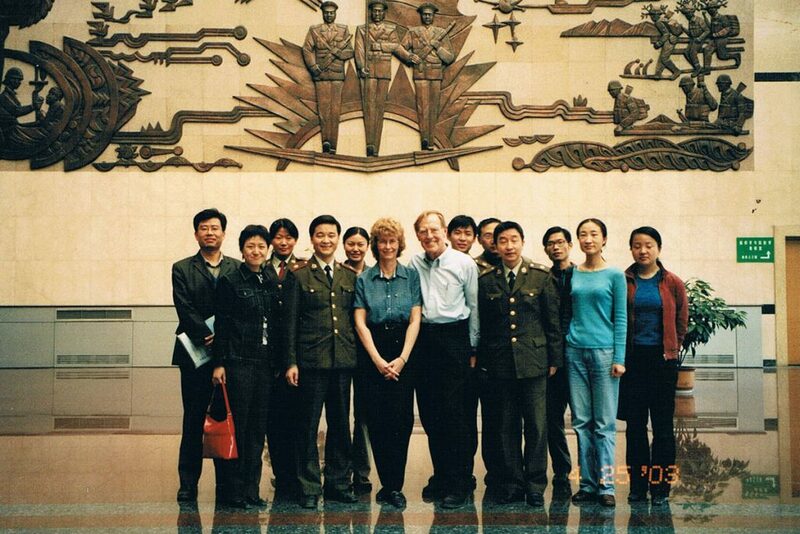 They returned to China in 2004 for medical discussions and nurses training. 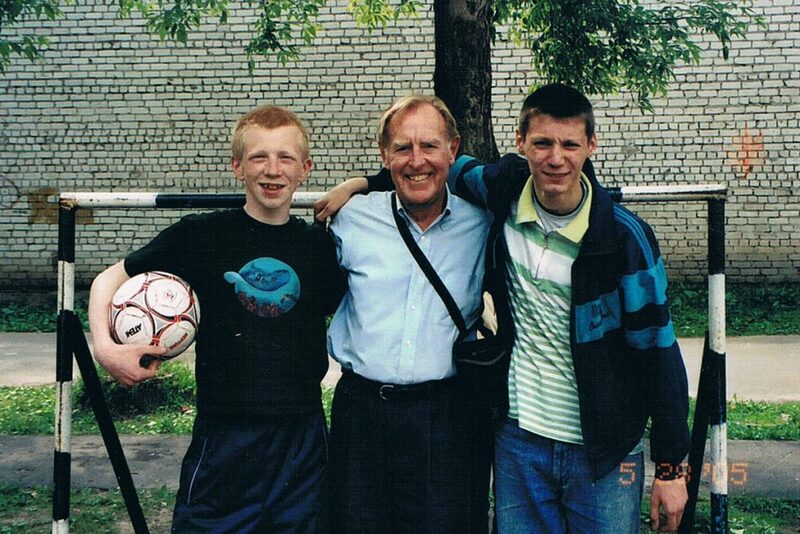 In Yaroslav, Russia, again through Cross Cultural Solutions in 2005, Bill and Sue worked with an orphanage after-school program – children ages 7 through 18. Sue did a sewing and quilt program with the girls while Bill played basketball with the boys. Their last humanitarian volunteer trip was to Rabat, Morocco in 2006, where they worked with children in an outpatient clinic for asthma. There, they used crayons and puzzles and books and a U.S. map to entertain the children (and their extremely curious mothers). Since then, the Rusts have traveled the world for pure enjoyment – to all of the Scandinavian countries, Scotland, Milan for the World Expo in 2014 and the Opera at La Scala, cruising in the Mediterranean from Rome to the Greek Islands and on the Queen Mary 2 along the eastern U.S. and a round-trip to England. They’ve hiked in Patagonia, walked part of the pilgrimage trail Santiago de Compostela, and followed Ric Steve’s travel show, taking the Swiss train excursion. They’ve also traveled the United States, from visiting Glacier National Park to the Grand Canyon to sailing off the coast of Maine. And, on those rare occasions when they’ve been at home in Lakewood, Bill has written a book titled “The Brothers,” and Sue has kept busy volunteering at Baptist Medical Center, playing bridge and quilting. Longtime members of St. Mark’s Lutheran Church, supporters of the Jacksonville Symphony, and patrons of the San Marco Chamber Music Society, Bill and Sue Rust are still musicians at heart as well as medical ambassadors of the heart. Their next eagerly anticipated adventure will be a trip to Germany with the talented chamber music group, where each performance will benefit a local charity and each person that meets Bill and Sue Rust will receive the warmth and compassion that comes from a lifetime of being intimately involved with humanity.